First off, in defense of this version of PP, they are very open about the fact that they have removed Bunyan's allegorical themes about Jesus Christ and all of the Biblical wisdom and teaching which made it encouraging, challenging, and worthwhile reading, and have focused simply on the "fairy tale" view of this beautiful story. And also in all fairness, I was so disappointed in the meat and heart of the book being completely stripped away, that I quit listening halfway through. 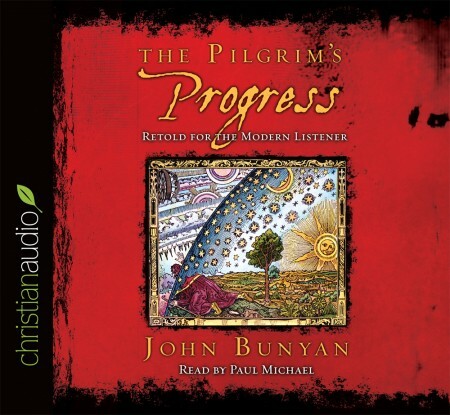 I didn't buy this audiobook, it was free when you downloaded the iPhone app for Christian Audio. Which honestly makes me really disappointed in Christian Audio. If you want a fairy tale to read, then you might enjoy this version. If you want to be challenged and encouraged and know what truly made this book amazing, then please skip this and buy an unabridged (even modern language) version. Hope this is helpful to anyone looking for the real Pilgrim's Progress.